To read about the RRBC kick-off, click here. For The Riordom, May 1st feels painfully far away. 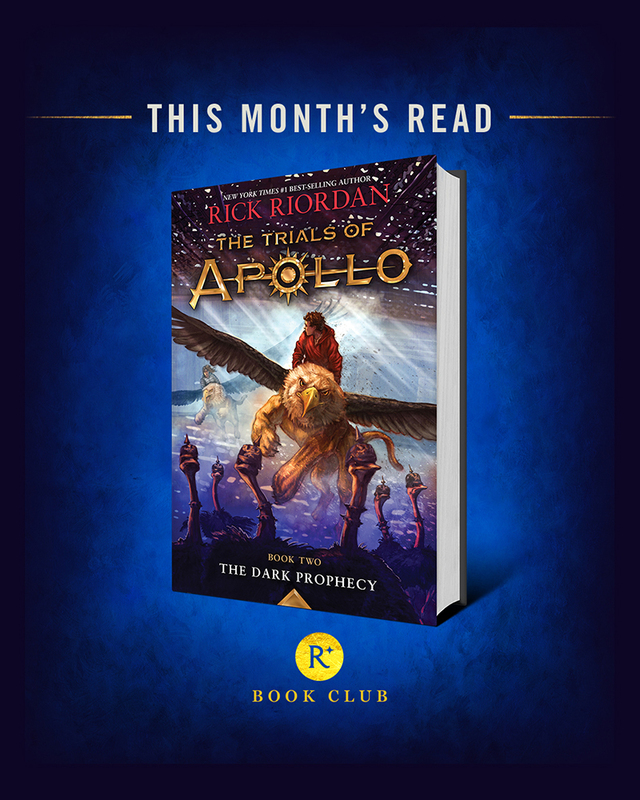 Rest assured, in the coming months we’ll reveal more about The Burning Maze (Trials of Apollo 3,) but for now we’ll manage the frustration by marching on from book one, The Hidden Oracle, to book two, The Dark Prophecy. Let us know when you reach Indiana! Remember to print out some fresh bookmarks, ideal for your #bookstagrams. Oh, and #readriordanbookclub always!